An elegant necklace you can wear every day? We have just the thing. 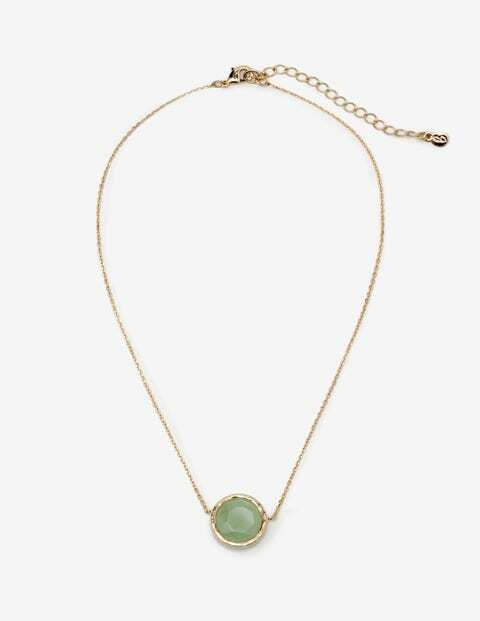 This 9-carat-gold-plated necklace is discreet enough for the office, with the semi-precious stone adding subtle colour. Pair with the matching earrings for a dinner-date-worthy duo. 37cm/14½ total chain length, with 6cm/2½"